What is "Living in New Mexico"? It's kind of like a blog, except... not. I'm sure you're familiar with blogging. You probably follow a few of your favorites. Well, I'm not a very good blogger, but I do enjoy writing, especially about my experiences as a New Mexico native. This page is more of a catch-all for my favorite stories, topics, and musings. I have lots of thoughts about living in New Mexico, little things that pique my interest or that I want to write about that don't really fit in elsewhere on the site. 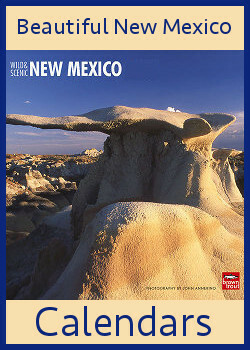 Living in New Mexico is a unique lifestyle. Things that are part of our everyday Southwest lifestyle are completely foreign to people from other places. And those are the stories I want to share. 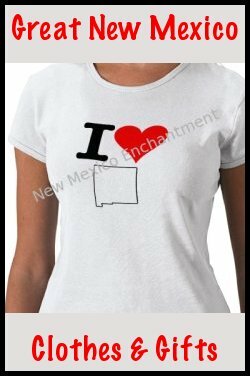 Each topic focuses on Southwest life facets and randomness that I feel make my home state the "Land of Enchantment". You get to see the state through the eyes of a New Mexico native. All the posts are organized by newest to oldest and like a traditional blog the newest posts are at the top of the page for your reading convenience. However, unlike a traditional blog, the post links are always visible so no digging through archives and constantly clicking "older posts" links. I love "slow traveling"! 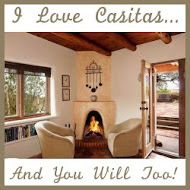 If you do too here's my favorite place to stay in Santa Fe. I love visiting the museums dedicated to Santa Fe's history. Here's my guide to learning all about The City Different. Ready to pick a college? Here's my experience with two New Mexico universities. Check out my itinerary for a day trip to Santa Fe. My reflections on the beauty of New Mexico monsoons. Vibrant, captivating, simply... New Mexican. A compilation of my favorite New Mexico jokes. Jenna shows you the beautiful Blue Desert of New Mexico as she travels with the aptly named Blue Desert Guide Co.
Blog: Visit My Blog for my personal stories and thoughts about life in New Mexico. Twitter: Follow me @keylimeburquena. I can't wait to tweet you hello! RSS: Use our RSS Feed for real-time site updates. This page may contain advertising links. Read the full disclosure.